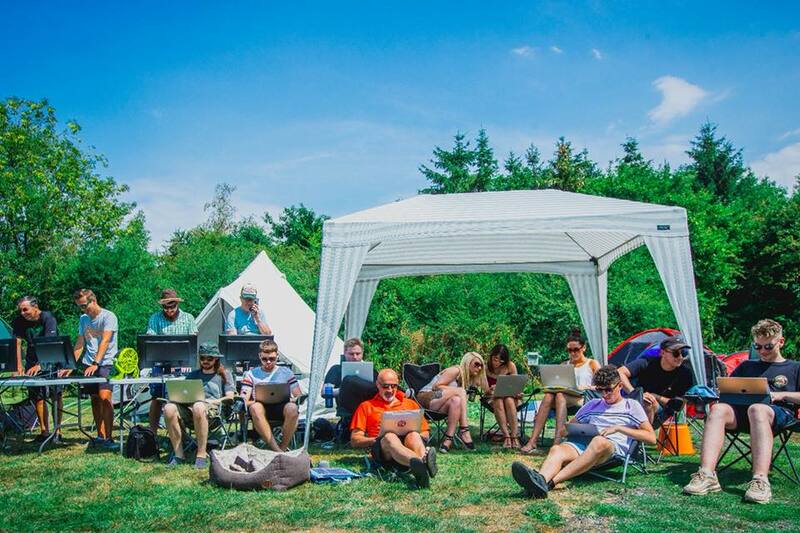 On July 26th we took remote working to a new level, by moving the office to a local campsite. We took and set up four desktops and laptops for everyone. Using a 4G hotspot the whole team was then able to get online. Plenty of sunscreens was used and water was drunk to keep the team cool, the same could not be said about the computers! Team member Raj, even showed off his cooking skills by being head BBQ Chef.